2018 is off to a great start for gamers. We have already received Monster Hunter World, Dragon Ball Xenoverse, and Shadow of Colossus and all of them have been great. 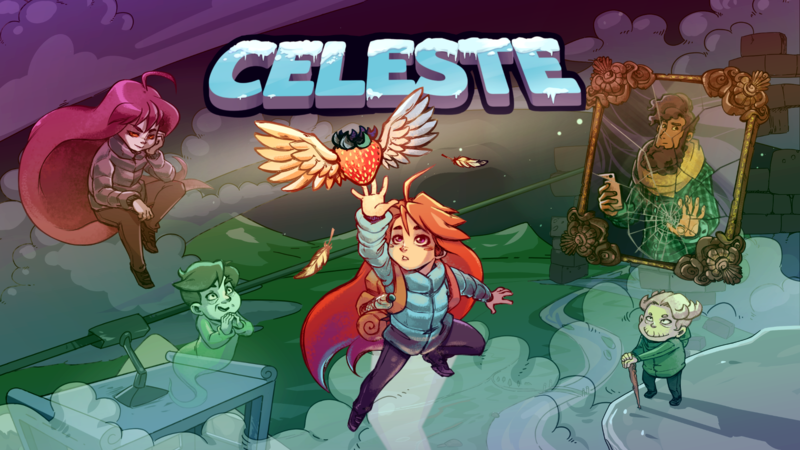 In the midst of all these glorious titles, came Celeste, a platformer with little to no advertisement and it has taken the gaming community by surprise. Indie games usually go under the radar, but not this one, and the main reason behind it is the challenge that Celeste offers. Instead of doing what every platformer does, this title makes things a whole lot interesting by making some really difficult levels. It is not your run of the mill platformer indie where you can clear the whole thing in a few hours. You will need patience and you will need to plan ahead if you want to complete this game. Playing it through the end is not going to be an easy task, but it is one worth going through the trouble. For platformers and non-platformers fan, Celeste comes highly recommended. The reason we regard this game so highly is because of multiple reasons which we have discussed in detail below. The thing with platformers is that they can get pretty repetitive. Even with changes in the design, you are bound to get acquainted with all the moves. However, it’s not that easy in Celeste. The levels are not only challenging, they require you to think and plan ahead. If you make one wrong jump, you will be set back to the beginning of the level. The difficulty of the game is its strongest point. It doesn’t forgive, but it doesn’t really make things too difficult that you can’t overcome it. You will die a lot in this game and there’s nothing to worry about. You spawn back at the beginning of the level in like three seconds. Dying is part of the learning process. Once you get a hold of what you have to do next, things will begin to go a whole lot smoother. Challenge of Celeste is indeed a strong point of the game, but it is a fair challenge. The difficulty has been made fun by the level design. You always seem like you know what to do next and that’s what keeps you going. The design is simple yet complicated. You have to time every one of your move, but never will you ever be lost. You will have a set path to go on, you will know where you have made a mistake and how to counter it. This is another brilliant part of the game – it keeps on your toes the entire time, and completing a level seems so worth it. Celeste isn’t a long game by any means as the story will last you for about five to six hours. However, due to challenging levels, going through the story can be a lot harder. You are easily looking at 15 hours of gameplay before you can call it quits. This time only represents the main path. However, if you are a completionist who likes to do each and everything in the game, then you will be spending a large chunk of your time here, so come prepared.